Ben Affleck, is an American actor and filmmaker. He began his career as a child actor, starring in the PBS educational series The Voyage of the Mimi (1984, 1988). He later appeared in the coming-of-age comedy Dazed and Confused (1993) and various Kevin Smith films including Chasing Amy (1997) and Dogma (1999). Affleck gained fame when he and childhood friend Matt Damon won the Golden Globe and Academy Award for Best Original Screenplay for Good Will Hunting (1997). He then starred in high-profile films including Armageddon (1998), Shakespeare in Love (1998), Pearl Harbor (2001), Changing Lanes (2002) and The Sum of All Fears (2002). After a career downturn, during which he appeared in Daredevil and Gigli (both 2003), Affleck received a Golden Globe nomination for his performance in Hollywoodland (2006). Affleck’s directorial debut, Gone Baby Gone (2007), which he also co-wrote, was well received. He then directed, co-wrote, and starred in the crime drama The Town (2010). For the political thriller Argo (2012), which he directed and starred in, Affleck won the Golden Globe and BAFTA Award for Best Director, and the Golden Globe, BAFTA and Academy Award for Best Picture. In 2014, he starred in the psychological thriller Gone Girl. Affleck portrayed the superhero Batman in Batman v Superman: Dawn of Justice and Suicide Squad (both 2016). The gangster drama Live by Night, which Affleck directed, wrote, produced, and acted in, will be released in early 2017. 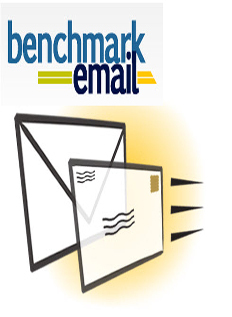 Affleck is the co-founder of the Eastern Congo Initiative, a grantmaking and advocacy-based nonprofit organization. He is also a stalwart member of the Democratic Party. His younger brother is actor Casey Affleck, with whom he has worked on several films including Good Will Hunting and Gone Baby Gone. Following high-profile relationships with Gwyneth Paltrow and Jennifer Lopez, Affleck married Jennifer Garner in 2005. Affleck has two daughters and a son with Garner, from whom he separated in June 2015. 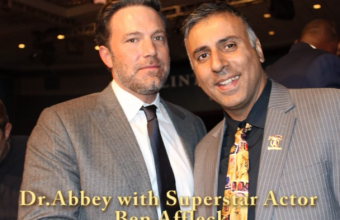 Ben Affleck spoke at the Clinton Global Initiative 2016, about his Eastern Congo Initiative, his foundation and the work being done in Africa, see what he had to say right here in our World Liberty TV, Celebrity and Entertainment Channels. 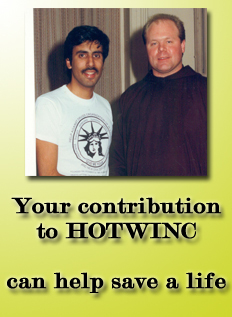 An Italian classical crossover tenor, recording artist, and singer-songwriter. Born with poor eyesight, he became permanently blind at the age of 12 following a football accident. In 1998, he was named one of People’s 50 Most Beautiful People. In 1999, he was nominated for Best New Artist at the Grammy Awards. “The Prayer”, his duet with Celine Dion for the animated film Quest for Camelot, won the Golden Globe for Best Original Song and was nominated for an Academy Award in the same category. With the release of his classical album, Sacred Arias, Bocelli captured a listing in the Guinness Book of World Records, as he simultaneously held the top three positions on the US Classical Albums charts. Seven of his albums have since reached the top 10 on the Billboard 200, and a record-setting ten have topped the classical crossover albums charts in the United States. With five million units sold worldwide, Sacred Arias became the biggest-selling classical crossover album by a solo artist of all time, and with over twenty million copies sold worldwide, his 1997 pop album Romanza became the best-selling album by an Italian artist of any genre in history, as well as the best-selling album by a foreign artist in Canada and a number of countries in Europe and Latin America.The album’s first single, “Time to Say Goodbye”, was a duet with Sarah Brightman that topped charts across Europe, including Germany, where it stayed at the top of the charts for fourteen consecutive weeks, breaking the all-time sales record, with over three million copies sold in the country. 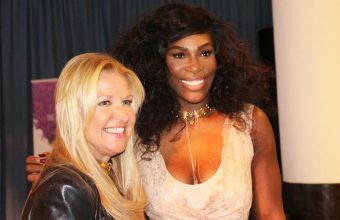 The single went on to sell over twelve million copies worldwide, making it one of the best-selling singles of all time. 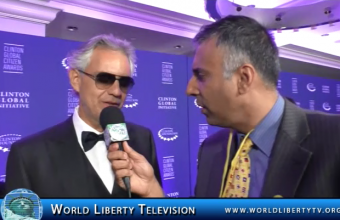 We had a pleasure of interviewing Andrea Bocelli at the Clinton Global Citizen Awards, where he did a live performance with the Voices of Haiti Choir, See what Mr Bocelli told us about his singing and his foundation right here in World Liberty TV, Entertainment Channel. 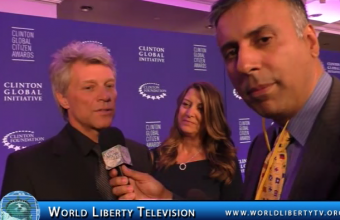 Self-reliance, optimism, and community are key concepts Jon Bon Jovi embodies in his music and charitable efforts. These common threads have resulted in heightened awareness on issues that adversely impact our society, as well as millions of dollars raised. Bon Jovi is the frontman of the iconic, Grammy Award-winning band, Bon Jovi, who have set the bar for over three decades as one of the most successful rock bands in the world. Globally, they have sold more than 130 million albums, performing more than 2,900 concerts in over 50 countries for more than 37.5 million fans. Bon Jovi is also the chairman of the Jon Bon Jovi Soul Foundation, a non-profit organization dedicated to bringing about positive change and helping the lives of those in need, “one SOUL at a time.” The Soul Foundation funds partnerships that address the issues of hunger and shelter, benefiting temporary shelters, transitional housing for teens, permanent supportive housing—including housing for veterans and special needs populations—as well as providing home ownership opportunities. In October 2011, the foundation opened the first JBJ Soul Kitchen in Red Bank, New Jersey to address issues of food insecurity, and has since served over 50,000 meals. Staying true to Bon Jovi’s roots, the foundation aided in local recovery efforts in the days following Hurricane Sandy in 2012. The following year, Bon Jovi donated $1 million to the Hurricane Sandy New Jersey Relief Fund. 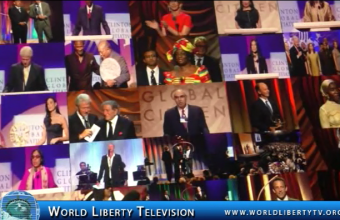 World Liberty TV, Team was on hand at the last Clinton Global Initiative Meeting NYC -2016, and the Clinton Global Citizen Awards NYC-2016, where we had the pleasure of speaking and interviewing ,Legendary Rock star and Turned Humanitarian , see what he had to say to our World Liberty TV, audience, right here in our World Liberty TV, Entertainment Channels. Established in 2007, the Clinton Global Citizen Awards honor outstanding individuals for their exemplary leadership and groundbreaking work that has effected positive, lasting social change. Through their uncommon abilities to strengthen civil society, these visionaries inspire us all to take action and to become true global citizens. The 10th Annual Clinton Global Citizen Awards were presented during a special ceremony at the CGI Annual Meeting on the evening of September 19. This year’s program included special performances by honoree Jon Bon Jovi, as well as Andrea Bocelli with the Voices of Haiti Choir. Juan Manuel Santos has been the president of the Republic of Colombia since 2010. Previously, President Santos was minister of defense, minister of finance, minister of foreign trade, designate to the presidency, and chief of the Colombian delegation before the International Coffee Organization. He created the Good Government Foundation (Fundación Buen Gobierno) and founded Colombia’s largest political party, Partido de la U. President Santos was awarded the King of Spain Prize and was president of the Freedom of Expression Commission for the Inter American Press Association. He has published several books, including “The Third Way,” co-written with former British Prime Minister Tony Blair, and “Check on Terror” (Jaque al Terror). President Santos is a graduate of the London School of Economics, Harvard University, and the Fletcher School of Law and Diplomacy. Hawa Abdi Diblaawe was born in 1947 in Mogadishu, Somalia. After her mother’s death, Abdi raised her four younger sisters in conditions of poverty, yet never lost sight of her dreams. With the support of her father and a Soviet scholarship, Abdi studied medicine in Kiev and became Somalia’s first female gynecologist. She then completed a law degree at the Somali National University, where she later became an assistant professor of medicine. She opened a clinic on her family’s ancestral land in the Afgooye Corridor using the profits from the land to provide free health care. When the Somali Civil War began in 1991, Abdi started housing her employees on her land, feeding them, and caring for them. Adi Godrej is chairman of the Godrej Group, a more than 100-year-old family conglomerate, with operations in India and several other countries. Godrej is chairman of the board of the Indian School of Business and former president of the Confederation of Indian Industry. He has been a member of the Dean’s Advisory Council of the Massachusetts Institute of Technology (MIT) Sloan School of Management and a member of the Wharton Asian Executive Board. Godrej is the recipient of several awards and recognitions, including the Rajiv Gandhi Award (2002), the American India Foundation Leadership in Philanthropy Award. Nadia Murad was born and raised in the quiet agricultural village of Kocho, Iraq. A member of the Yazidi community, she and her family lived a peaceful, happy life. On August 3, 2014 her village was attacked by ISIS, marking the beginning of its savage genocidal campaign against the Yazidi people. Six of her nine brothers were executed on the spot. Murad, along with her two sisters and thousands of other men, women, and children were taken captive and subjected to unspeakable crimes. Murad was initially held hostage in a building with thousands of families. She witnessed young children given to ISIS soldiers as sexual “gifts.” She was raped and tortured on a daily basis. But after facing unimaginable brutality, she was able to escape. “This may be the last annual meeting, but the work and the spirit of President Clinton’s vision and the CGI committed community will live on forever.” Said Many People who were in attendance. Nevertheless, Clinton launched into a forceful defense of the partnership “model” of philanthropy founded by CGI that he said would be its enduring legacy, in addition to the more than 430 million people counted as beneficiaries of philanthropy that started at CGI over the years. Clinton did not directly address his critics, but he gave an overall defense of the motivations behind the foundation in the face of accusations by their political adversaries that the foundation served as a source of financial enrichment for the Clintons. CGI, Clinton said, is about “building a culture of possibility” that can be deployed to solve the world’s most difficult and pressing problems. After a few minutes he warned the crowd that “just a couple more” were coming before he was finished. 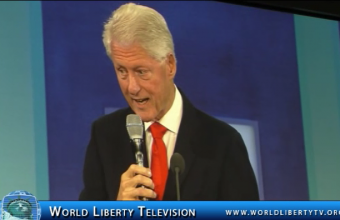 We at World Liberty TV, Have Covered the Clinton Global Initiative’s for the past 8 years, and the kind of people President Clinton has helped throughout the World, through all regions of the World, with Medicine, Housing , Education, building of Haiti, is an honorable act of Humanity, and we heard testimonies, from World Leaders, and people helped by the Clinton Global Initiative’s, over and over again, in the past 8 years. I want to finish of with this, President Clinton is one of the greatest Humanitarians, of our Era, we honor him and respect him ,for all he has done for Humanity, Thank you President Clinton for giving us the opportunity, to showcase your Humanitarian work on our World Liberty TV, Humanitarian Channel, you will always be our “Humanitarian Champion”. God Bless you!. BizBash is North America’s #1 source of ideas, news, and resources for event and meeting professionals. Each month nearly 200,000 unique users look to BizBash for venue discovery, event style, technology, and tools for their next event. 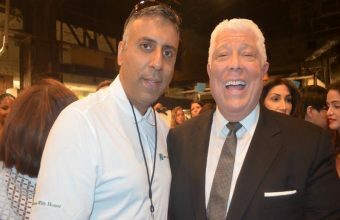 In the dynamic live gathering industry, BizBash is the largest media source for both event pros and “hidden planners” with more than 200,000 monthly users. Live Gatherings serviced by the BizBash suite of products include: exhibitions, conferences and meetings, training and learning, marketing and PR, fund-raising and galas, celebrations and weddings, incentive and travel, and government and ceremonial. 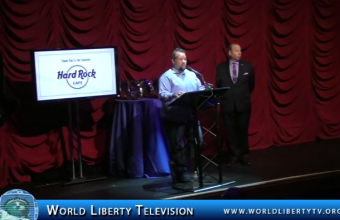 See More in our World Liberty TV . 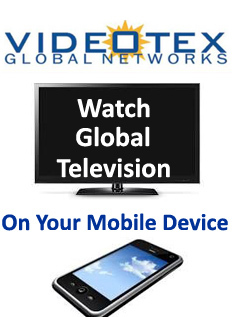 See New York Fall and Winter Fashion Shows, Events Gifting Suites right here in our World Liberty TV: Fashion, Fashion Review and Luxury Channels, as our Fashion Team Covered Designers and Products from all over the World showcasing clothes & Products that have never been seen before. See More of New York Fashion Week 2016, Events in our World Liberty TV Channels. 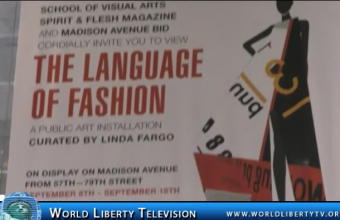 See New York Fall and Winter Fashion Shows right here in our World Liberty TV: Fashion, Fashion Review and Luxury Channels, as our Fashion Team Covered Designers from all over the World showcasing clothes that have never been seen before.